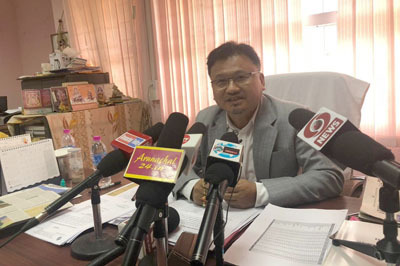 ITANAGAR, Apr 9: Following reports that some villagers of Bagjam in Pipsorang circle of Kra Daadi district are boycotting the simultaneous assembly and Lok Sabha elections, Additional Chief Electoral Officer (ACEO) Kaling Darang informed that there is a set of procedures which has to be followed for establishing a polling station. The polling station for Bagjam village is in Lukbia village, which the villagers claimed is some 8 kms away. The ACEO informed that there are 28 polling stations in the Tali assembly constituency, with the Lukbia polling station having 537 voters from Lukbia, Hania and Bagjam villages. While Lukbia has 163 voters, Hania has 257 voters. Bagjam village has 117 voters, out of which 39 have said they would boycott the elections due to the lack of a polling station nearby. On being asked, the ACEO said the rationalization process of establishing a polling station begins at least a year before the election year. “The EROs of the concerned areas meet with political parties in their circles and seek representations from them regarding rationalization and establishment of new polling stations, with certain modifications, as required,” he said. On the immediate issue, election commission records state that a district consultative meeting was held at Koloriang on 11 August, 2018, regarding rationalization of polling stations. The meeting was attended by the district election officer, MLA Markio Tado, the EROs of Nyapin, Palin and Tali, besides AEROs and representatives of various political parties. “Recommendations for new polling stations were also made during the meeting, and accordingly it was decided that the polling station for Lukbia, Hania and Bagjam should be in Lukbia, and no changes were made to it,” the ACEO said. While he acknowledged that there was “some” distance between Bagjam and Lukbia, he maintained that the distance was not so much that the people could not travel back and forth to vote. He, however, assured that the representation of the villagers would be considered during the next consultative meeting. 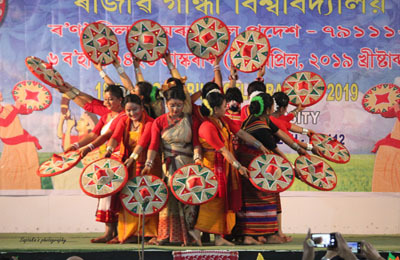 The ACEO appealed to the villagers to use their voting rights and participate in the democratic process of the country.